Fövárosi Müszerkészítö és Javító Vállalat (MKV); Budapest. Hiradástechnikai Ipari Kutató Intézet (HIKI); Bp. 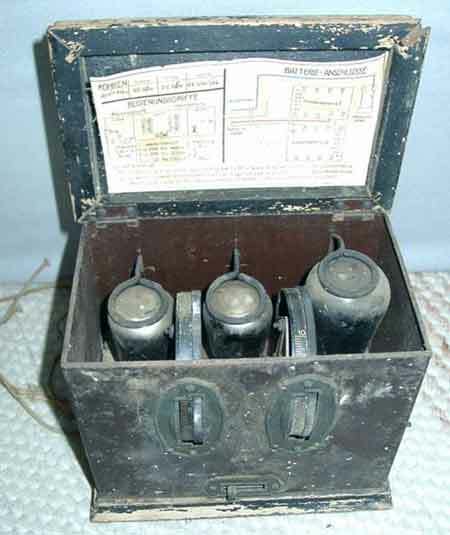 In 1917-18 the production of military radio transceiver (KLERA) started at the Telefongyár (Telephone Factory) with using electron tubes produced by Egyesült Izzó; but from 1925 radios produced in Izzó and in the manufacturing co-operation were put into circulation under TUNGSRAM brand. 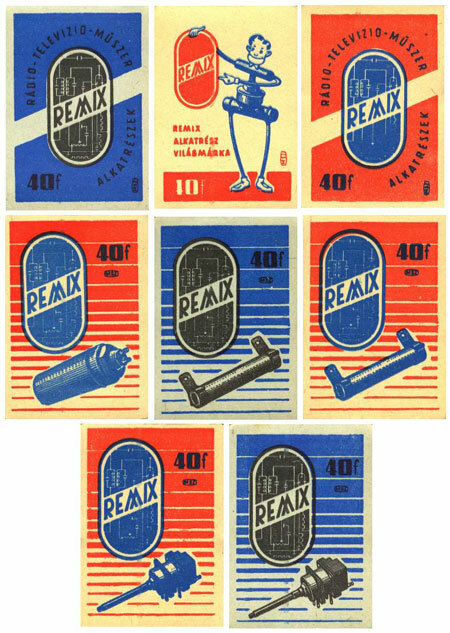 Manufacturing sets for non-military purpose started at Telefongyár in 1923 and till the middle of the 1930s sets were made on the basis of Telefunken licence. From the 1950s the factory also produced military telecommunicational sets again. The Hungarian interest of PHILIPS started manufacturing radios in 1931 and beside ORION it was one of the most significant manufacturer until the end of World War II. The Magyar Wolframlámpagyár (The Hungarian Wolfram Lamp Factory) appeared under ORION brand and began manufacturing in 1925 and it meant a determining productive capacity from the beginning of the 1930s. 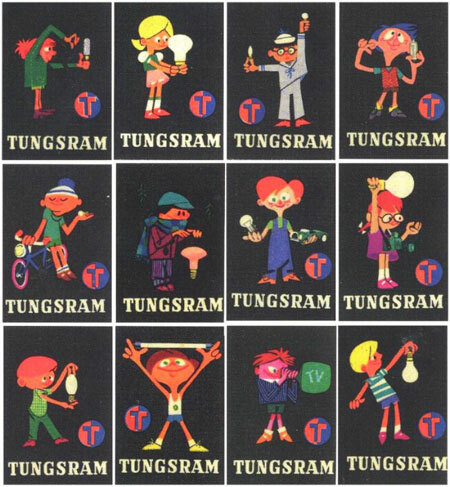 In the 30s it exported sets under Tungsram brand. The Standard Villamossági RT (interests of ITT in Hungary) which was formed from a department of Egyesült Izzó, was a determinant firm too. It did wage labour to more firms (EKA, Philips, Telefunken). Siemens has been present on the home market only from 1941 but till the end of the war it produced sets in great amount. Until 1950 these sets were put into circulation with VIKERT brand on them. On the basis of prior assessment of demands more than 120 thousand of sets were claimed, but only 45 thousand pieces were made because printing sets wasn't a good deal. In great amount public radios were manufactured again from 1950. 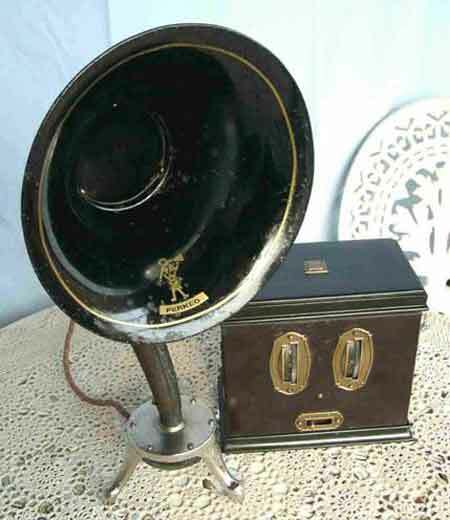 Beside the mentioned plants in the Golden Age at least 30 smaller or bigger factories, smaller enterprises were present on the market, some of them only for 1 or 2 years, but their radios can be found at the collectors. I found an interesting document in the company brochure of "Tungsram". On two separate photos you can clearly see that they are assembling and checking the equipment We 3B, that was manufactured between 1924-26. Unfortunately the editor added the text to one of them saying it shows telephone assembly, which is obviously erroneous. Next to the We 3B you can clearly see the antenna and the funnel speaker. Hungary compared to its population has already given a lot of Nobel prize scientists to the world. Unfortunately we did not have any great people in connection with the radio like other nations, Popov, Marconi, Tesla, Lee de Forest and the others. But we have to mention Tivadar Puskás by all means, who put the first telephone exchange in the world into operation in Paris in April 1879, then in 1892 the "Telefonhírmondó" (a wired news and announcer apparatus) in Pest. 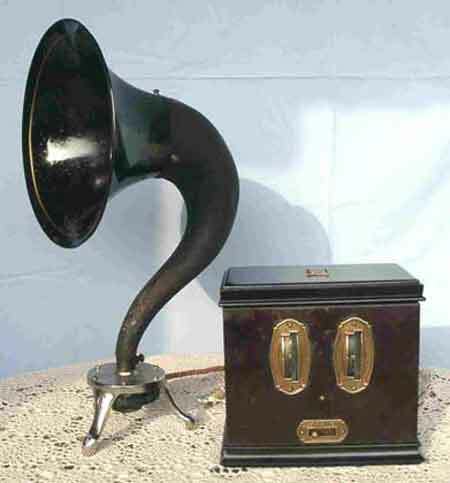 There was another very important invention in 1892, it was Antal Pollák and József Virág's quick telegraphic apparatus, which was able to work at 100,000 word/hour data-transfer speed and it counted a great achievement compared to the level of that age. In connection with television many Hungarian scientists played an important role, but let's drop the matter, it's another story. 1933.	installing the 120kW Lakihegy transmitter, a radio antenna was made, which was the highest in the world of that time, the height is: 314 m.
To give you a foretaste here are some data about the development and strength of the Hungarian radio industry. In 1939 beside the radio set and component import - 984 thousand pengo - the export was 3,561,000 pengo. The success of the home electron tube manufacturing was more amazing, because in that year beside the imported 6,104 receiver and 105 transmitter tubes, 2,031,466 receiver and 2,126 transmitter were exported. World War II strongly retarded the production but from the middle of the 1950s it became an important export factor again. Of course, beside the level of the industry, the media and publishing of books that increase the knowledge of radio friends and inquirers was as high as all over in Europe. Magyar Rádió Újság (Hungarian Radio Newspaper)	May1924 -1928. Rádió és Fotó Amatőr (Radio and Photo Amateur)	November 1930. - 1933. 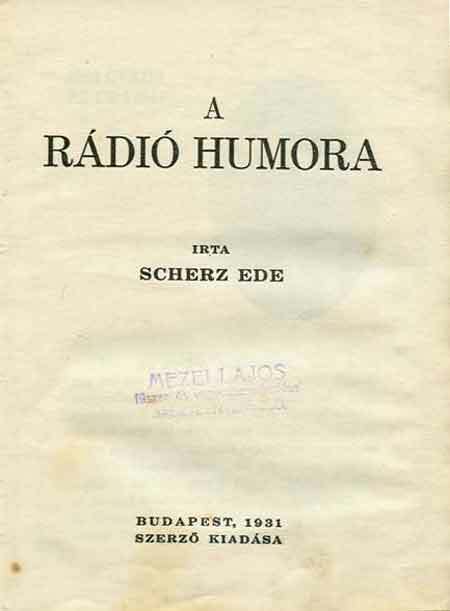 Rádióvilág (Radio World)	Jahuar 1946. - August 1948. Rádió és Filmtechnika (Radio and Film Technology)	September 1948. - October 1951. Of course, Hungarians read foreign papers too and a good example for this is that among the 60 readers' letter in ÖRA, the Austrian amateur radio paper (no. 12/1927), 5 letters were Hungarian, and the question (about anode deputies) of a reader from Kaposvár was also published. Here I have to mention Károly Kemény , mechanical engineer's article (in the Rádió és Fotó Amatör no. December/1930, page 1. 2. 3. ) 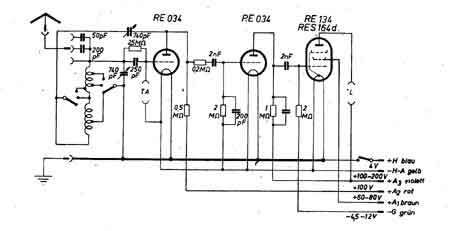 in which he drafted the idea of an amplifier part with illustrations, and was carried out by American scientists as a transistor in 1948. 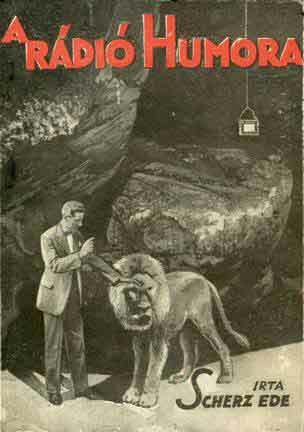 Géza Kádár: Rádiókészülékek kapcsolásai (1956) and any other books from him. 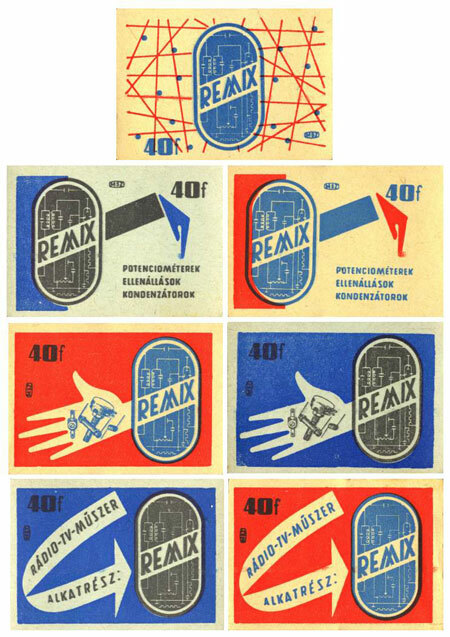 I am presenting the second part of the matchbox label series thanks to my matchbox-collector friend, Sandor Bozoki. He put together a collection of matchboxes on which radios, radio spare parts and other related items are shown as advertisement. 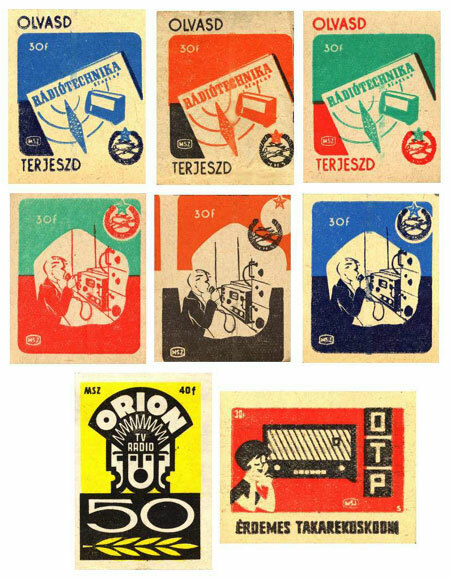 You can see the ads of the Remix factory, the labels of the 50-year-old ORION, the ad of MHSZ that used to be the association of radio amateurs, a promotion for the Radio Technology magazine and an ad for Tungsram’s lightbulbs, strip lighting and vacuum tube. I would love to hear from stamp collectors – we may find some interesting things on stamps as well. Who was the legendary Uncle Scherz? Ede Scherz was born in Bratislava in 1879 and completed his elementary school there. From 1906 he was the anchorman of the telephone news service, from 1925 of the Radio. At that time everybody knew him simply as Uncle Scherz. In his book he says that for the children he was simply Uncle „Sheys”. Around 1930 he got an illness that all singers and actors fear, problems arose with his vocal cords. Since he had some free time he published a book in 1931 entitled „The Humour of Radio”. I was able to acquire a copy, dedicated to a store owner in Jasszentlaszlo, Lajos Mezei. I am now able to share this book that includes Uncle Scherz’ handwriting. 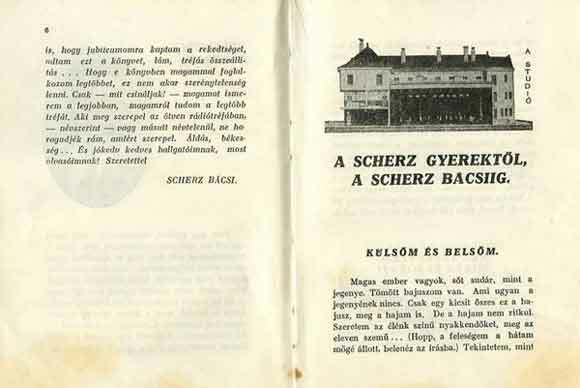 According to the notes of the previous owner of this book, Ede Scherz died on December 13th 1936. I am convinced that on the 80th anniversary of radio we should commemorate Ede Scherz in words and in pictures, since radio would only be a technical invention without radio programming and broadcasting. According to the salesperson the amplifier was used by Germans when bringing Jews into concentration camps, L666 would have been the mike! I knew right away that they miswrote the date but I did not really look at the L666. Only later did I notice that I found a classical speaker with paper cone. Arcolette 3: cleaning, restoring wood parts, changing the wiring leading to the battery. I involved experts so the wood parts were not painted but mordanted and laqued. I got wonderful help from my fellow collectors, Laszlo Koger, Istvan Nemeth andLajos Szecsenyi. Under the connection graphics taken from the cover of the radio I found another surprise, the emblem of Siemens and Halske, „SH”. It is hard to say. Siemens and Halske and AEG have founded Telefunken and have worked together for many years, and exchanged spare parts among them. 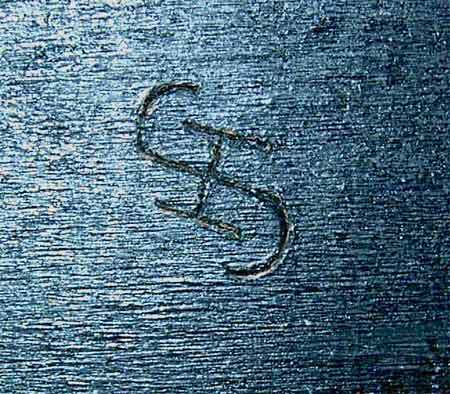 That is how the S and H sign could have appeared on the Telefunken Radio. Let the photos speak for themselves, including some of the reconstruction. 10. 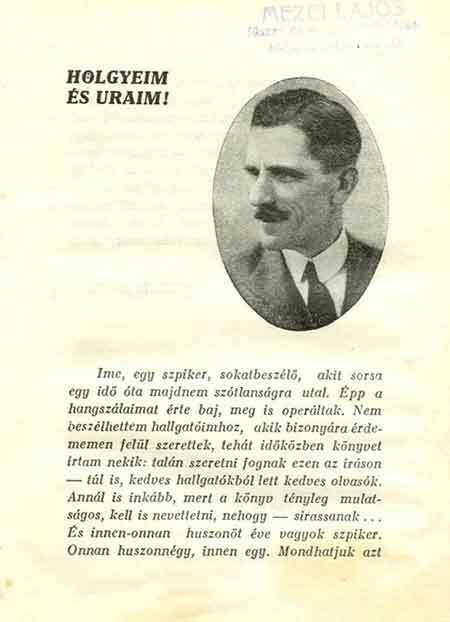 És újra itt az 1920-as évek végének hangulata! 12. És végül a " beteljesülés" együtt a "Kincs"! Factory Badges of Standard Electric Co. I suspect that thanks to our industrious and vigilant fellow collector, Laszlo Kóczian, I am able to inform you of a really rare treasure. At one of the flea markets, badges have appeared from the Standard factory, which used to signify the classification of employees. These copper badges of 0.03 m in diameter, were glazed. The signage „Control” is probably the equivalent of quality control, „XB” may have designated managerial level and the „60/12” the department and the employee. I am hoping to learn more about these and show you better photos. I would love to receive your comments if you have any information about these. He received it from the son of a Standard factory worker. This one used to be for visitors, the back has a number to make registration more precise. Such registration cards are in use in many larger companies – by now in plastic. These badges were for visitors who received these after registration and gave it back to the doorkeeper upon leaving. Born in Zilah, Romania in 1907. His father, the elder Géza Kádár was protestant priest later vice bishop. The younger Géza Kádár studied at the Hungarian secondary school of Zilah but his final exam was unsuccessful, most probably because he did not speak Romanian. Romanian teachers arrived in the secondary school and they failed all the students. In 1927 students were forced to travel to Hungary where they successfully took the final exam in Debrecen. Géza Kádár started his studies at the Budapest University of Technology in the same year. He graduated in 1932 as mechanical engineer, but as Romanian citizen he had to return to Romania to accomplish the one-year compulsory military service. After his military service he came back to Hungary where he started working at the Hungarian Royal Post in 1934 as scribe. Not being Hungarian citizen he could only take a lower position. It was very difficult to acquire the Hungarian citizenship, finally his father (by then vice-bishop in Kluj at the church of Magyar street) came over to assist his son with his own connections. Géza Kádár’s career started to skyrocket. His first accomplishment is in relation to radio networks and Endre Magyari, with whom he became good friends. He first got to know the transmitter in Lakihegy then oversaw the construction of the Fehervar Öreghegy. He traveled to Fehervar often on his company car (Gero Ormos reminisced that he was his boss at the Öreghegy…). In the publication “50 Years of Postal Engineers’ Services” he is mentioned as engineer who works at the Radio Operational department of the Telegraph and Telephone Directorate. Other sources say that he was heading the Radio Counseling and Radio Interference Measuring Service. Attila Makkai remembered that Géza Kádár hired him as intern around 1941-43 when he was 14. Because of electric interference making radio pickup impossible, the Post has hired special staff in the 1930s to search and prevent interferences. By 1936 there were four engineers and 16 operators worked on 32360 reports in a year. Among their equipment they had one oscilloscope and twelve interference detectors. On the September 1936 exhibition the Post presented the method and equipment of interference inspection and provided counseling and free of charge tube measuring service. From 1937 the Radio counseling and Tube Measuring Service received a permanent place and personnel in the building of the Pos headquarters in the 5th district, Petőfi Sándor street. This is where Géza Kádár was employed as head of engineers. In 1943 an article appeared under his name: “Evaluating the Quality of Radio Transmitters” in the publication “Radio Compass, Guide for 1943”. He must have been hired as permanent staff, since he is mentioned as postal engineer of the Hungarian kingdom in the Radio Compass. At the end of the war 28 radio engineers of the Hungarian Post 22 have left the country together with the German forces to the West. 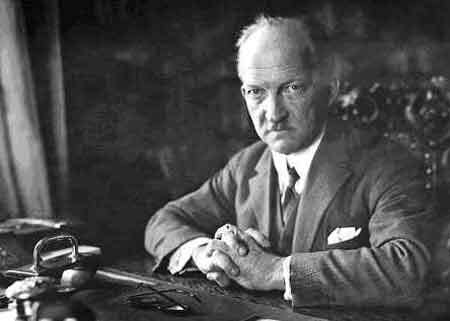 Géza Kádár was one of the six radio engineers who stayed in Hungary. He survived the siege of Budapest in their home in Zuhatag street. He was probably not forced to go West because he worked at the Radio Counseling service and he was out of sight of the authorities. It was the engineers and experts of radio stations that were forced to leave the country. After the war he was still managing the Radio Intermittence Supervision and Radio Counseling Services, so in 1947 for example he still had a company car together with a chauffeur. He designed the first tube measuring equipment for the radio tube inspection. In some parts of surveying the radio intermittences, you need shielded environment. The first of shielded measuring room was built on the initiation of Géza Kádár in the cellar of the Post Experimental Station. From the building in Petofi Sandor street (where the intermittence inspectors were working) the people were commuting to the Experimental station even during the end of the 50’s if they wanted to make a measurement like that. In the Radio Annals of 1948 his writing appeared with the title „Spread of Radio Waves and Interference”. At that time his rank was chief postal engineer. He has a similar article in the 1948 Radio Compass „Reception Interference and How to Avoid Them”. Around 1950 he is commissioned to build the cable network of radio in Hungary. He does this with responsibility and precision. He must have thought this was important. 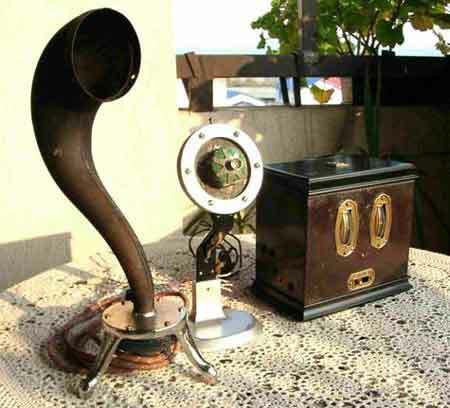 Today we think of cable radio as the controlling mechanism of the Rakosi era, which was created so that people could not listen to foreign radios only the Kossuth radio, transmitting the messages of the party. The issue is not that simple however. Laszlo Zelenka went on a study trip to the Netherlands in 1936 where he studied cable radio. He wrote an article in Radio Technology about his experiences. 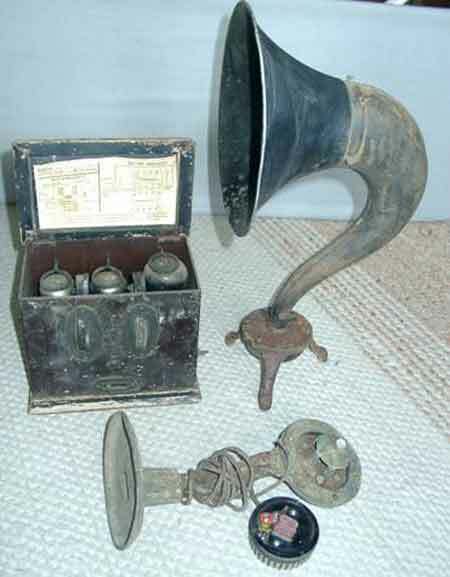 Cable radio was popular in Switzerland, Netherlands, England, Belgium and Germany. There were two good reasons for their existence in these countries and in Hungary: good voice quality and low price. In villages where there was no electricity, there was hardly any radio. For cable radio you only needed electricity in the nodes, not at the end points – the loudspeakers. After the war, in a poor and looted country people were happy to have cable radio, because for a monthly fee of HUF 6 they could get cheap entertainment, knowledge and information in villages. Cable radio was based on nodes where a receiver got the transmission of a central station (Lakihegy), then they changed the voice into voice frequency lines with high-performance amplifiers. There could be 20-30 4-Watt loudspeakers connected to a 100 watt amplifier. Nodes could be placed in postal offices or the mayor’s office and postal officers were responsible for their management. In Budapest the nodes got the voice directly from the studio, one of the nodes was in the post office in the so-called “Klotild Palace”. In the early 1950s Géza Kádár’s engineer salary was quite low. He earned HUF 700 a month as the only bread earner in the family. He had to take a second job in the Orion factory, repairing faulty radio equipment for HUF 100 a day. (He got married in 1942 and had two daughters). He repaired stuff around the house but did not make a radio as an amateur. When the first television experiments started he got a company tv for try. This was an East-German „Rubens”, for which he made aerials himself so that he could get the transmission of a further away stations. This was not successful he could only get some transmission from the South, Yugoslavia. Their apartment in the foot of Svab-hill was not ideally placed. Later he was interested in quadforphone experiments and voice transmitters. He built a large loudspeaker in the corner of their living room. As part of his job he conducted postal operator- and sparks training and wrote textbooks for them entitled „Introduction to Radio Technology”. This textbook was published four times, last time in 1955 by the Technical Printing. He also taught at the vocational school on Gyali street, his name appears in the Anniversary Annals as contract lecturer. In 1951 his book „Loudspeakers” was printed by the Transport Printing Company and at the time was used as textbook. According to the Preface of the author he meant to provide practical information to experts, with minimal mathematical explanation. This was true to his later materials as well, his drawings and the practices for repairmen became regular handbooks. In 1956 his textbook „Radio Technology I.” appeared for the third-year students of Telecommunication Vocational school and then the next edition appeared with his editorial work, written by others, since that was about transmission technology. Géza Kádár worked with receivers mainly. In 1956 his drawings entitled „Connections of Radio Receivers” appeared and was so popular that in 1957 it was re-printed in an edited and enlarged version. At that time Géza Kádár was working at Post Headquarters at the Radio Reception Technology Department as the officer of radio interference prevention. The drawings were done by two colleagues of his Béla Fazekas and Jozsef Pál. In 1958 another book was published for repairmen „Radio and Televison Receivers”, which is quite interesting and valuable, since the first picture and connection drawing of a television was in, among them the legendary „Leningrad T-2”. Until 1979 he published collections and service-books every year or every other year, but he also contributed to the „Industrial Library” series as well. His last published work is „Radio and TV Circuitry 1975-77” in 1979 at the Technical Printing House. As a result of the conferences the first standard (Postal standard) appeared in 1960 about the methods and requirements of interference prevention. Before his retirement his last national work was the diffusion of cable radio. The cheap transistor radios operating on one or two AA batteries made cable radio obsolete, especially since the maintenance of this system was far bigger than the subscription fees could have covered. As the child of a protestant priest he could not proclaim atheist principles and join the communist party. In October 1956 he was voted into the “Worker’s Council”. Maybe this was the reason why he never got a passport between 1967-70 to visit his friends in the US and at 60 he was forced into retirement. After his retirement Janos Volgyi asked him to come and work at Gelka (an electric equipment repair service).This work helped him both spiritually and financially. In 1975 at the 50th anniversary of the Hungarian Radio people still thought of him. He received an Arany memorial ring and plaque. In the anniversary edition of “Modulator”, the magazine of radio technology, he published an article in which he remembered radio interference prevention and its history. He died at age 76 in April 1983 in Budapest. There was a short obituary published in the July 1983 edition of Radio Technology. My thanks to Csilla Székelyné Kádár, Mrs. Klara Pataki, Béla Násfay, Árpád Koós and Ferenc Kovács for the information they shared with me. 50 Years of Postal Engineer Service Ministry of Commerce of his Highness, Bp. 1938. Obituary. Rádo Technology, July 1983, Budapest. Dénes B. Balás: Dr. Endre Magyari Postal Engineer Worked in Gyali Street. Tivadar Puskás Telecommunication Vocational School. 2004, Budapest. Geza Kádár: Interesting Cases of Averting Interference . Modulátor, 1975. 7th year, 1st ed. Gusztav Sugár: History of Hungarian Radio until 1945. PRTMIG, Budapest, 1985. 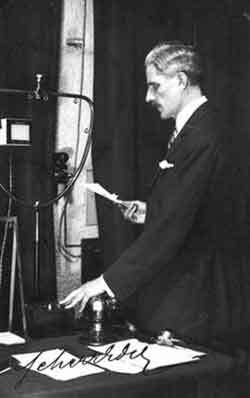 Istvan Stur: Radio Exhibition of September 1936. Hungarian Post, No. 1936./10. Budapest. 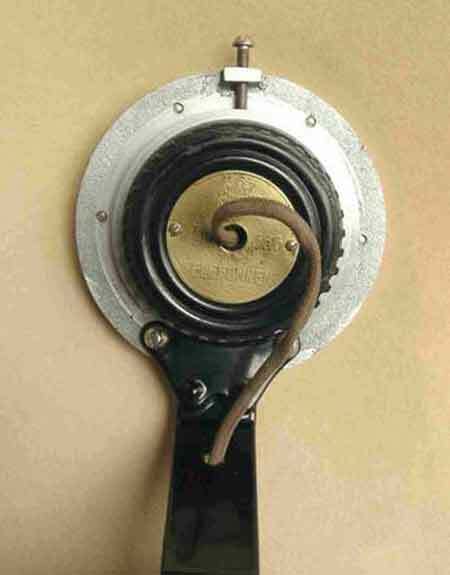 The Hungarian National Film Archives (NAVA) preserved a lot of newreels concerning radios. Hereby can be found some issues picked and chosen for your interest. 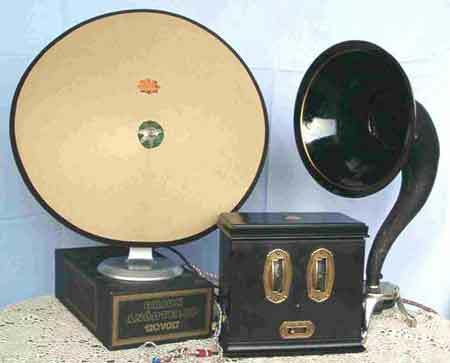 The First Zala County Radio Museum Foundation ordered from this list the seemingly most interesting news spots, altogether 22 newsreels from 1926 until the 1960s. The last broadcast should have been the news regarding the printed circuit of the AR series from the ORION factory but this issue could not be found in the archives. 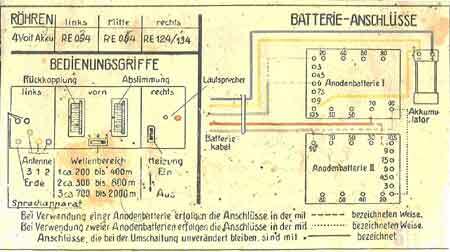 However you can be reimbursed by a similar report on the radio Tünde (with the same technology) or by a previous spot on the radio Sonett. According to the copyrights the projection is allowed within the frames of our organizations (the Foundation and the Association of Radio Collectors), so the members shall be hopefully able to watch the 34 minutes long film in the Spring of 2009. It was not possible to check the content of some (e.g. exhibitions, fairs) matters so some pieces of news and information can occur, which are not related to radios. The report on the cathode ray tube production of Tungsram in Nagykanizsa is missing, but there is an additional report on the TV production of Vadásztölténygyár. Certainly this enumeration cannot be comprehensive but contains most of the available (public) matters of that period indeed. The further processing or the publishing by the Association of Radio Collectors on DVD could be a very important moment embalming the radio related heritage however by reading the list, it can be realised what treasures are around us which are perhaps not yet known. - Animal voices in the radio. The rehearsal before the outside broadcasting of the Hungarian Broadcasting Corporation. - The handover of the public safety broadcasting system in the policemen residential district in Fehérvári Street. - The ribbon cutting ceremony of the new studio in the HQ of the Hungarian Brodcasting Corp.
- 30th annyiversary of the Hungarian Broadcasting Corp.
- 50th anniversary of the Hungarian Broadcasting Corp.